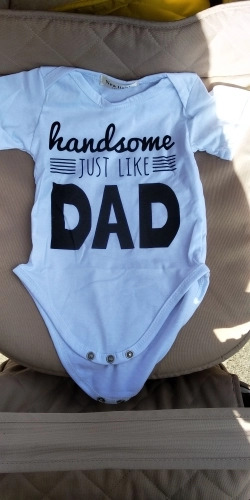 Funny Baby Onesie Sayings Handsome Just Like Daddy Bodysuit Will Be Such a fun and stylish gift for your little one and even for your bigger one. Body very nice, good quality but too large. Size 74 cm ie for 6 months.